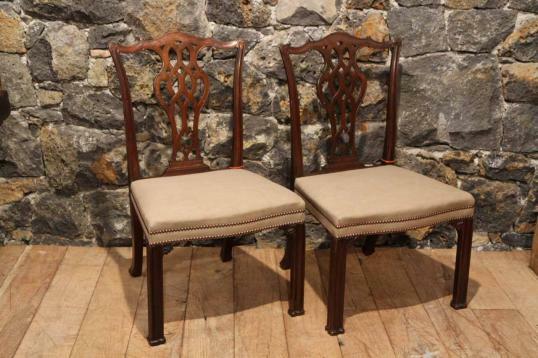 A pair of 19th century Chippendale chairs that would have commanded a King's ransom 10 years ago. Now out of fashion, I still love them. 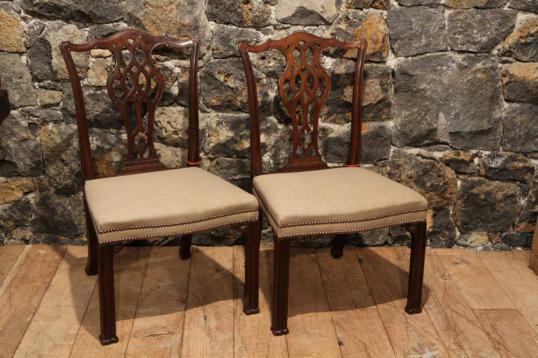 Solid Cuban or Honduras mahogany, wide seats with pierced backs and fluted legs. Upholstered in linen the seats have a comfortable rake in them. If you are interested in sourcing a similar piece please call us on +64 9 529 1660 or email info@js.co.nz quoting #89-15.